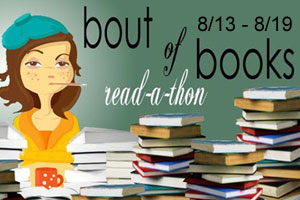 Ex Libris: Bout of Books: Virtual Travels or Reading Around the World Mini Challenge! Bout of Books: Virtual Travels or Reading Around the World Mini Challenge! Virtual Travels or Reading Around the World! Besides reading, my two other great passions are baking and travelling, so I thought we should all go on some imaginary trip and share with each other the lovely (or dreary) places we visit thanks to the books we are reading. Choose a book and find a picture to match the setting you envision for the novel. Post a comment with your link: either to your blog post where you do the challenge, or leave the link to the photo in your comment and tell me which book you envision taking place there. Giveaway is only open for 24 hrs and ends on 19 August 2012! ETA: The winner is Gatorade635!